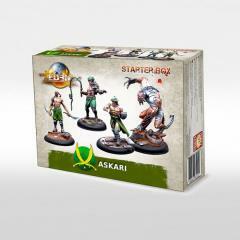 The Janissary Fahim and the beast Alghul are the living forces of this new starter Askaris. But do not underestimate the Musharef and his slave. Customize your troops with a wide range of mutations and test the original tactics and missions against your opponents!